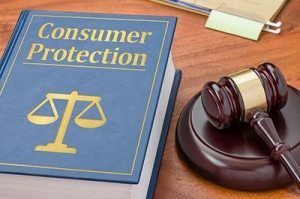 In the United States, consumer protection laws exist to ensure that the rights of every consumer are protected in the marketplace. Designed to help stop fraud on the part of businesses seeking to take advantage of individual consumers, consumer rights laws help to make the marketplace fair for everyone involved. While not always perfect, the laws help to set standards for what is and is not acceptable, providing a template for individuals and companies to understand and operate under. When these laws are broken, individuals suffer. If you become aware of a consumer rights issue that is affecting you and the company is either negligent or unresponsive to the laws that they are breaking, then you have it within your power to consult with a consumer rights attorney and see where you stand legally. It may be that you are capable of getting a settlement from the company’s indiscretions and breaches of the law. What does a consumer rights attorney specialize in? These professionals specialize in consumer rights and responsibilities both from the perspective of the consumer as well as the business providing services. This means a fair look at the underlying laws that govern interaction in the marketplace as well as a gradual examination of all parties involved and the motivation behind potentially illegal practices. Utilizing a wide range of resources regarding consumer protection and helping to generate a case around a particular claim or grievance, your consumer rights lawyer will work with every step of the way. Referencing everything from law to activism, you will have a professional standing by your side if you go to court. The only thing you will need to worry about is choosing the best attorney to represent your case. That is where we come in. With years of experience in the field of consumer rights and responsibilities, we have built the experience and reputation necessary to fully represent you in law. Working with you from the moment you first call to the moment your case is settled, we will help you be fully informed as our team of consumer rights lawyers find the information necessary to build your case. If you find yourself needing a consumer right's expert, please contact Paulus Law Firm at (816) 237-8502 for a free consultation.